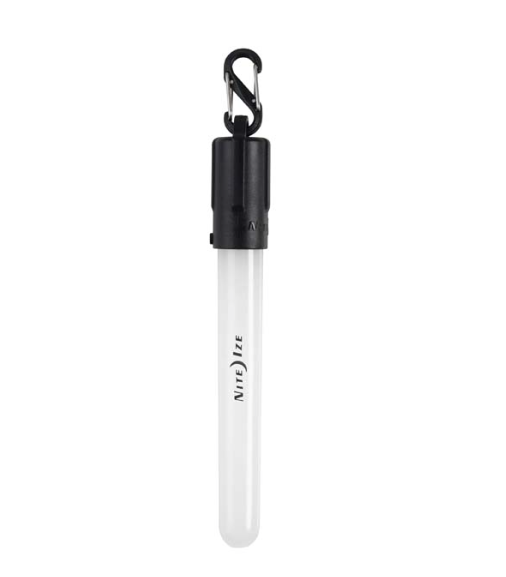 This Mini LED Glow-stick is a compact yet powerful source of illumination, perfect for safety or for fun. An excellent alternative to traditional chemical glow-sticks and available in multiple LED colors, the Glow-stick has a sleek design and a simple twist on/off function. It also features batteries that last over 60 hours and can be easily replaced. Waterproof and equipped with an S-Biner for clippability! this glow-sticks is perfect to keep in your PFD or emergency kit, or simply to have on hand for hours of night time visibility and safety. As an added bonus - they float!